How Do I Describe SEO to Others? If you work with SEO (Search Engine Optimization) you’ve probably been asked what it is. 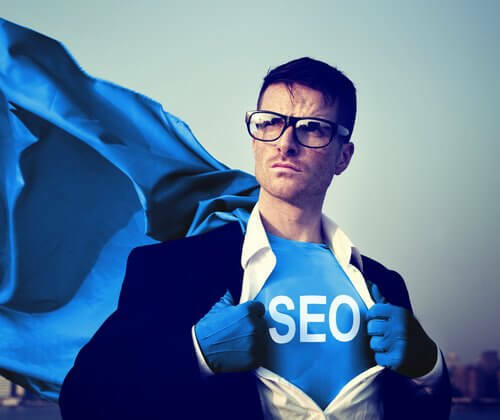 With various components to SEO, it can be hard to describe your job in a short and concise way to let others know what you do without going on for hours. Here are some major points to get across to make your answer easy to comprehend. To answer this question in one short and sweet sentence; SEO is marketing, but with search engines. You are doing everything in your power to impress the “customer”, which is the Google algorithm. If you dive in further, SEO can be broken down into three sections, each funneling down into the other; awareness, consideration, and decision-making. The first part is all about knowing what you’re dealing with. The term SEO is thrown around a lot these days and it’s important to know that the point of SEO is to rank better and attract clicks to your website. Once you understand what the focal point of it is, it’s much easier to understand how it works and why. As mentioned earlier, the foundation of SEO is marketing for search engines. You want your website to rank well so that it can drive more people to your site. Why do you want to rank well? So that prospective customers will consider visiting your site over others. Its no secret that the attention span of people is slim these days, so you want to rank as high as possible so that people can find your site easier. The final stage of the SEO funnel is decision-making. Once you are in consideration and rank well, you want to drive customers to your site that could become conversions (customers filling out a contact form or dialing a phone number). SEO helps you do this by providing customers with exactly what they want when they are searching. For example, you know customers are going crazy for the new Nike shoes that just came out. You can alter your page titles and meta descriptions to include information about the newly released Nike shoes to engage customers and hopefully drive them to your site. In the end, it’s important to realize that there is a lot that goes into SEO. You could spend hours upon hours describing everything you do but by using this funnel approach, you can let your friends and family know about your SEO duties in a short and easy manner. For all your SEO wants and needs, check out Boston Web Marketing and their top of the line SEO and Google Ad services. Call today or fill out a contact form. Why Isn’t My Site Ranked #1 on Google?